BitDice plays and feels like a proper Bitcoin gambling site: it loads fast, it looks elegant and there is a chatbox that lets you mingle with other players. Past that, you’d have to read their About page to realise that they were one of the first to bring about innovations that have come to be common with Bitcoin gambling: WebSocket quick bets, Kelly investments and licensing. The respectable bankroll (above 3,600 BTC) and max payout (above 80 BTC) is further proof of BitDice’s seniority, although their fortunes may have dwindled since they started in 2014, as we could only see about 20 players online playing. The live betting display page also doesn’t churn up the type of activity we’d expect from an old dice site, but all the more resources for the serious player. The opportunity to invest, an above average reward system for regulars and anonymous play support are reasons enough to try BitDice. Anyone familiar with Bitcoin dice games should have no problem laying into BitDice’s main game. You can try it for free with the faucet that you can access every 15 minutes if you have zero balance, it starts at 250 satoshi. Go under or over an outcome from 0.0001 to 99.9999, or bet by using a payout from 1.01x to 990,000x. There’s a Blackjack game you can also play if dice gets you bored and it’s simple enough to keep you entertained for a while. If you’re willing to move away from provably fair, there’s also a fair selection of slot games provided by Endorphina and GameArt. It’s not nearly enough to attract slot addicts, though, as their games selection can be found on most other slot-focused casinos. One feature we appreciate is the ability to gamble completely anonymously. However, if you’re willing to sacrifice just your e-mail, you get access to security features most sites don’t have: locked addresses and device identification. You won’t be able gain bet back and loss back bonuses either if you choose anonymous play. It’s nice to see a crypto site that goes beyond Bitcoin, and we’ve seen from past reviews that BitDice has dabbled in a lot of alts over the years, from DASH to RED to CLAM. Currently, you can also play with ETH, LTC and DOGE. All deposits require 1 confirmation except ETH which requires 5. There are no deposit or withdrawal limits, although fees are a standard 0.002 for BTC/LTC/ETH. You pay 2 DOGE for a cashout in that alt. The Player Leveling system is where the bonuses are at. As you wager more, you gain up to 15 Levels, each with incremental gains in faucet claims, daily Treasure Chests, Rain, Loss Back (up to 0.1%), Bet Back (up to 0.05%), and lower house edges (from 1% to 0.84%). These are all accumulated as BitDice points, which can be exchanged for BTC or used to participate in events. Jackpots are also available when you hit 77.7777, awarded based on your wager amount. 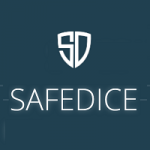 While on surface, there doesn’t seem to be much that sets BitDice apart from its competitors, it’s worth noting that they were the early implementors of features we’ve all come to know and love with Bitcoin gambling. They’ve definitely seen better days, judging from the slow activity we saw on the weekend, both in betting and in chat, but that’s not necessarily important if you’re playing to win. With the big possible payout, lower than 1% house edge and access to leveraged investments (from 0.5x Kelly to 3x Kelly), anonymous play, all against the confidence of a licensed casino, BitDice still offers enough uniqueness to the gambler who likes to diversify. Terrible website unless you enjoy your account magically being “hacked” and losing all your coins despite having a randomly generated 20 character password. Very “likely” they are scammers.